Throughout this process I have found many ways to cut my spending, which is one of the ways to increase your wealth (or in my case, pay off my student loans). In order to make more money, you need to cut spending, increase your income, or do a combination of the two, which is what I have been doing. I’ve added many different streams of income that have allowed me to now live on my side hustle income and then put some towards my debt on top of my salary. But one of the best ways I have saved money is by buying in bulk, even though it’s just me, myself and I. Now, this might sound crazy, but it really does save me a decent amount each month by buying the family size or bulk size. The reason this works is because the prices are almost always lower on the bulk and family size of products. To save even more money, you can buy the generic version of the bulk products. So, if you’re only buying for one, you really get a great deal from it, as long as you are smart about the items you buy in bulk. Obviously there are certain things you just aren’t going to buy in bulk because you just can’t use them fast enough. For me, I never buy my greens in bulk, like spinach. This is because I can never use it before it goes bad. There is nothing worse than throwing out food. I feel like I’m just tossing my money in the garbage every time I have to. There is a way to get around this and this one thing will be your best friend when buying in bulk, your freezer. 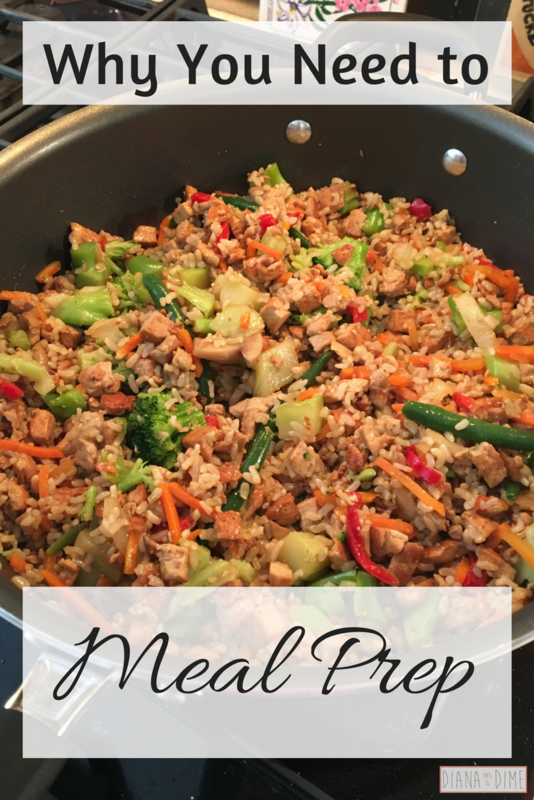 I put everything in the freezer, it’s such an incredible way to stretch your grocery budget when buying in bulk. I always bulk buy things that can be put in the freezer and easily thawed. Another thing I like to do is freeze any fruits and veggies before they go bad. I find it so easy to throw some smoothie bags together of foods that are about to go bad. This way the food is saved and I can quickly make a smoothie just by dumping the bag into the blender. Buying in bulk has allowed me to add extra savings to my grocery budget every single month. The less I spend, the more money I can put to my student loans. Every little bit counts. Do you buy in bulk? How has it helped your grocery budget? When I found Dave Ramsey about 3 years ago I was all about it and I loved that there were steps for me to follow. Fast forward a few years and I have definitely tweaked the system to fit my needs, but generally follow them. The scariest part for me was only having a $1,000 emergency fund for baby step #1. I mean, I live in New Jersey, a trip to get an oil change one time ended up costing me $1,000. The first thing I did was bump up my emergency fund to be $2,000, it just makes me feel so much better just in case something were to happen. Eventually I found sinking funds, too. This was actually life changing for my budget and my stress level. 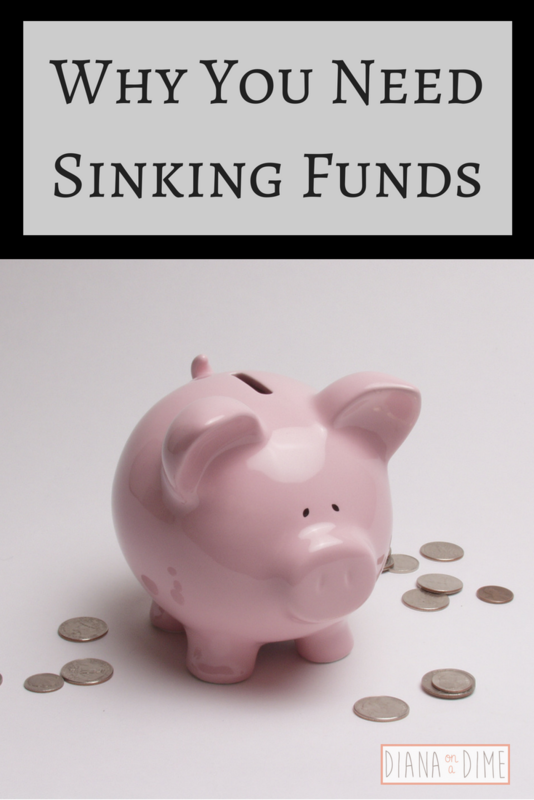 I had no idea what a sinking fund was when I started this journey. I mean you heard about my car situation and literally blowing my entire emergency fund just on a trip to the mechanic, which never would have happened if I had a sinking fund. A sinking fund is when you set money aside each month for an upcoming expense. This is for things that you know are coming and have time to prepare for. By setting aside small amounts of money each month, the large expense doesn’t hit your budget as hard when the time comes. This was tricky for me in the beginning. I knew it would be better for my budget in the long run to put small amounts aside for my upcoming expenses, but it was hard not putting that money to debt. However, the first time I actually used money from a sinking fund, it was a total game changer for me. In order to set up a sinking fund you need to figure out how much you are going to need and when you will need the money. For example, I know I’m going to need new tires and was told probably around the end of summer. I’m over estimating my tires to cost me $600 because I would rather have money left over and just put it towards debt after, then not have enough and scramble trying to find money. I started the sinking fund in February, so I have 7 months to save. I divide the total cost, $600, by the amount of months I have to save, 7 months, and I know I have to set aside $86 each month for my tire sinking fund. $86 is a lot easier than $600 in one month. Or, I save $3,000 for the summer when my income is not set, since I am a 10 month employee. I divide $3,000 over 10 months and put aside $300 each month. By the time summer comes around I have $3,000 in my account to use in case my income is lower than expected. At the end of the summer, I make a loan payment with whatever is left over. Sinking funds have completely changed my finances because I no longer have to pull from my student loan extra payment when something major comes up. Now, my emergency fund is truly for emergencies and not just for big items that come up, like tires or brakes. How have sinking funds changed your budget? I was always a die hard name brand girl for as long as I could remember. I’m not sure if it was because of my parents, or just I felt like it was what everyone did though. For some reason, if I was grocery shopping or shopping in the pharmacy, I felt like I had to buy the name brands. Then, I started getting my financial life in order and wanted to find all the ways to lower my monthly expenses. That’s when I realized how easily I could save money just by switching to the generic or store brands. So, I quickly made the switch and realized my life continued on as normal. If you are like me, I never used generic brands. I’m not sure why, but I always thought the quality wasn’t as good as the name brand products. I was completely mistaken though. I have pretty sensitive skin and I assumed the generic would cause my skin to get irritated, but that wasn’t the case. The generic brands are exactly like the name brands, but so much cheaper. Of course, for some people, it’s not going to work. But that comes with anything, even name brands. I also have found that I can get a lot better deals on the store name brands. I’m constantly finding buy one get one free on the generic and store brands, totally worth it!! I was very surprised to find that a lot of stores offer extra coupons when you buy their brand products. I don’t know why I found this surprising, the store is making more money by offering you that coupon! For example, I shop at Wegmans and they regularly offer a coupon for any Wegmans Organic purchase. I’m going to buy my organic groceries regardless, by buying the store brand it is usually cheaper and now I get to add an additional coupon. The savings are wonderful just by sticking to generic brands instead of the name brands. 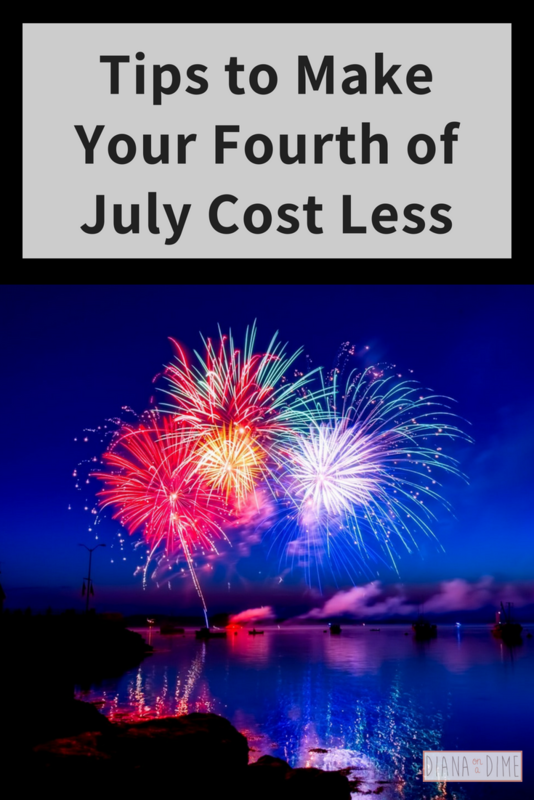 Like I have recently been sharing, I’m all about finding ways to save money within my different areas of my budget. I tried tackling my entire budget in the beginning and totally failed. Once I started focusing on single categories, I was so much more successful. One way I have saved money in my grocery and toiletries budget is by switching to generic brands and this didn’t require any change to my life style. 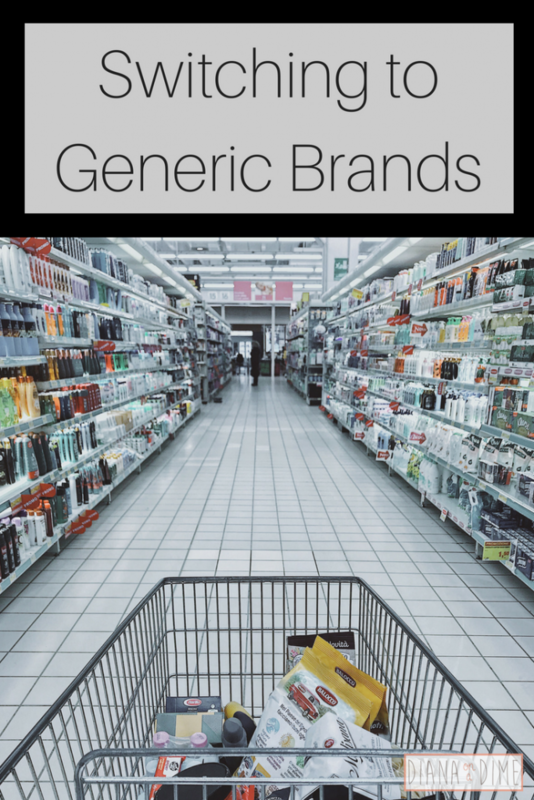 Have you switched to generic brands? Did you notice any difference? I strongly believe in focusing on one part of your budget at a time when you’re trying to cut expenses. 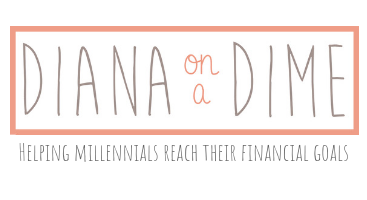 When I first started this debt free journey, I tried to cut from my entire budget. Boy was this a total fail. I got too overwhelmed and felt deprived, so I would splurge on items not in my budget. It was terrible. Then, I started trimming smaller sections of my budget and was so much more successful. One area I needed to drastically cut was my spending on coffee. I was definitely that person that would stop at Starbucks or Dunkin’ on my way to work before I started paying off my debt. My first way to save money was to simply use the Keurig my parents had, which saved money, but I knew there were ways to do this even cheaper. That’s when I stumbled upon cold brew coffee and let me tell you, this has been life changing for me. 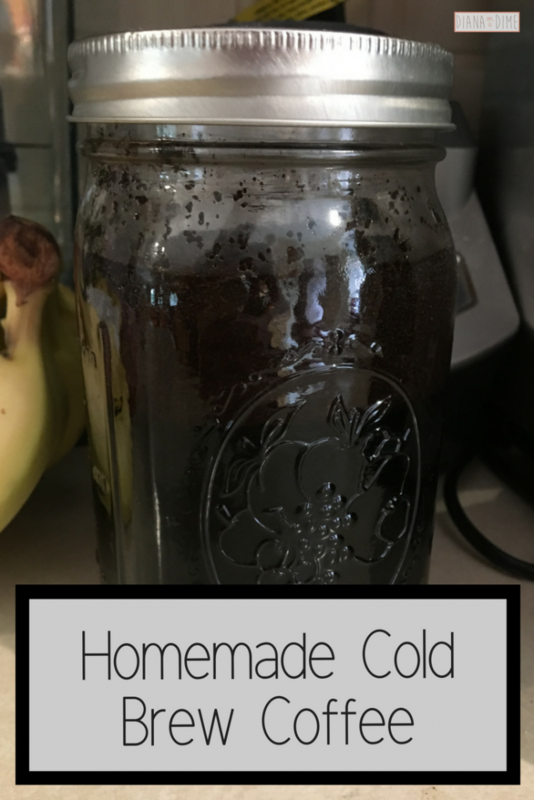 The first thing you will need to do is get a quality coffee blend, I recommend getting a flavored one, I find it tastes a lot better in the cold brew. I get an $8.00 organic one from Wegmans, I know I can save even more if I went for a cheaper one, but I buy organic due to food sensitivities. I’m able to get about 30 cups of coffee from this one bag, which is about 6 weeks for me. This amounts to about $0.26 per cup, which is huge savings compared to my old habits. Once you have the coffee ground, combine 1 cup of coffee grounds with about 3 cups of water. I tend to just fill the rest of my mason jar with water and call it a day. Once it is combined, stir it with a wooden spoon until it is mixed and put the lid on. Let the jar sit on the counter for 12 hours. After 12 hours you need to separate the coffee grounds from the coffee. I do this by placing a coffee filter in a funnel and then place that over a glass. There are many ways to do this, this is just how I do it. Once the coffee is strained, I put the coffee in a clean mason jar, this is your coffee concentrate. I keep this in the fridge during the work week taking from the concentrate each morning. To make my cold brew coffee each morning, I take half a cup of the concentrate and half a cup of water and combine it with ice, almond milk and a bit of no sugar caramel sweetener. I stir it all together and enjoy! I have found this to be a great way to save money in my budget and a huge time saver for this teacher as I’m flying out the door! How do you save money on coffee? When I was in grad school I started doing a lot of research on personal finance, budgeting, debt payoff, and all the other fun stuff that comes with personal finance. 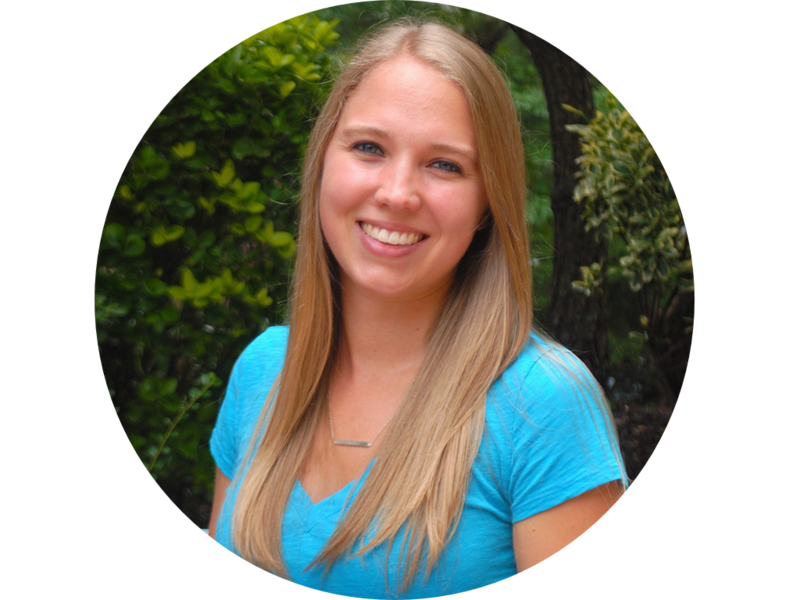 I wanted to create better spending habits, not just a quick fix to my situation. So, I decided to focus on different areas of my life one at a time. This way I hoped to make these habits last. 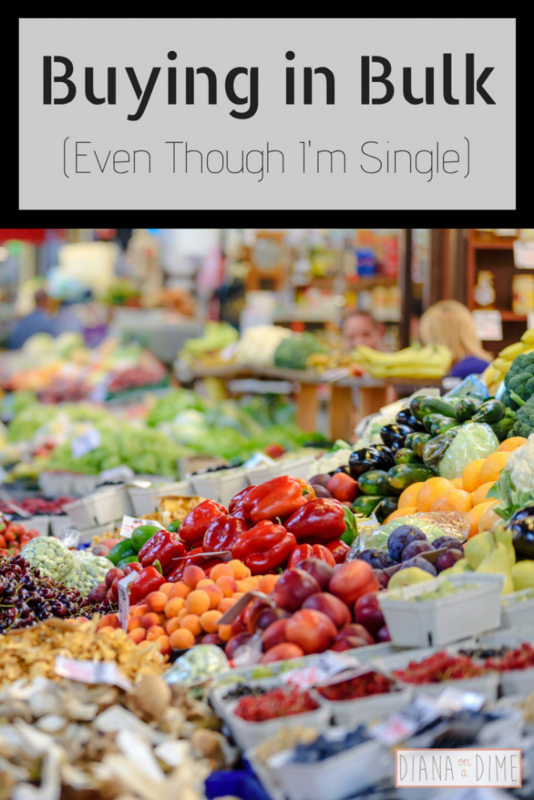 I started with my grocery budget and how I was going to keep eating organic while cutting my spending. It was tough, but it was doable once I got creative. Then, I went on to my toiletries, and once again I found some creative solutions to save money in this area. The one area that I figured was easy was to save money on contacts, boy was I wrong. This took some research and definitely some poor choices in regards to my eye health. When I first started focusing on my budget and trying to trim it I was using monthly contact lenses because they were the cheapest when I originally started using contacts when I was in 8th grade. Yes, I kept doing the same thing for 12 years simply because that was what I was used to. My senior year on high school I ended up being allergic to the proteins in my eye, so I needed to start using hydrogen peroxide solution. This was obviously more expensive then basic lens cleaner. When I started on my debt free journey, one way I saved money was switching to the generic brand of the solution, it helped, but not enough. I started getting frustrated by how much my contacts were for the monthly lenses plus my little science experiment I needed to complete each night to properly clean them. So, I made an extremely poor choice and started wearing my lenses for as long as possible. I’m talking like months wearing the same lenses, just cleaning them with the hydrogen peroxide each night. I figured I could still see with them, they weren’t ripped, so why throw them out? I did this for about 3 years and made a year supply of contacts last me those 3 years, talk about savings right!? It is true, I did save money, but what I didn’t know is that I was practically suffocating my eyes because the contacts break down at that monthly mark and no longer allow your eye to breath. I also was setting myself up for a greater risk for eye infections. After 3 years of doing this I realized I needed to take better care of my eyes. I started researching and found a much better solution for myself. One of the most frustrating things about wearing monthlies is that no matter what, at that month mark, I had to throw them out. Even if I only wore them 15 days that month. I felt like I was throwing away money some months if I didn’t wear my contacts much. I finally realized that my best bet would be to switch to dailies and wear my glasses more. Even though the yearly cost is more than monthlies, I can stretch out my year supply and its still healthy for my eyes. For example, no matter what my monthly contacts are the same price for a year supply because I have to throw them out. Now that I have dailies, I can stretch my yearly supply by wearing my glasses. It’s also a great idea to check for rebates on contacts, you can basically find a rebate for any of them by doing a quick search. 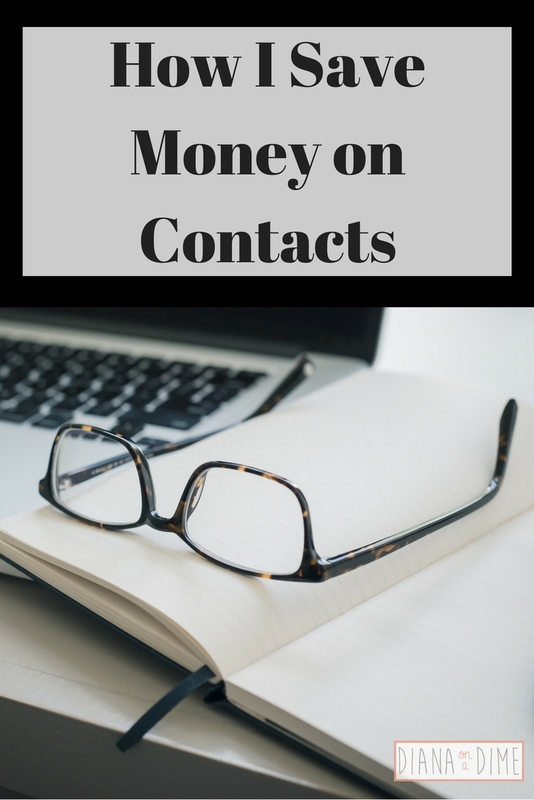 How do you save money on contacts?